Modular oscillators, sewing machine synths, vacuum cleaner synths, air humidifier synths... it sounds comical until you hear the inventive conglomeration of pure electronics and ambient space that is Verde, the moniker used by Finnish electronic musician Mika Rintala. I'd been familiar with Mika as a member of the band Ektroverde whose music (along with companion band Circle) we've reviewed several times in Aural Innovations. So I was pleased when Mika sent 5 CD's of his Verde work along with several photographs of his clever homemade electronic instruments. In this article I'll give an overview of the 5 CD's, followed by an interview with Mika. DON'T MISS the link to the photo gallery of Mika's homemade instruments at the end of the article! If I had to summarize Mika's music I'd say it's about contrast and cooperation. That's a bit vague and simplistic, but a constant throughout these 5 CD's is the combination of seemingly unrelated sounds and themes that are brought together in a way that just somehow seems to work. It's common to hear drifting ambience combined with harsh electronics. Natural sounds are integral to the music... water, chirping birds, the various everyday sounds of the city, and casual conversations. Crowd noise in particular are frequently heard. 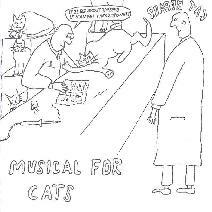 Musical For Cats includes music that is purely electronic, but also includes some stringed instruments that give the music an avant-garde chamber feel. On "Bee In Out" and "Bee In Odd Forest" we hear harsh electronic space music. It's not grating or industrial, but the sounds Mika employs give the music a rougher edge than typically heard in ambient electronic music. Also, while the music does create an atmosphere, the focus seems to be more on the combination and development of multiple sounds rather than creating waves of soundscapes. And the avant-garde element is added by what sounds like a cello or violin. It's this combination that makes Mika's music especially interesting and challenging to listen to. On "Afloat", subtle orchestration and electronics provide the backdrop for what sounds like someone at the water's edge throwing in rocks. A pulsating repetitive synth line is joined by a dissonant guitar pattern creating a disturbing atmosphere. But once again it's the combination of the contrasting parts - the electronics, the guitar, and the person we imagine at the water - that makes the music so intriguing. I suppose if I had to give a recognizable frame of reference I'd say imagine an avant-chamber version of early Ash Ra Tempel. "Vostok" is a more purely electronic exploration with multiple layers of sound developing in tandem. The music is deceptively busy as it's all very linear, though there's a great deal happening at once. For "Sore Song" a noise guitar is backed by freaky rising and falling electronic sounds. It started off interesting but didn't really go anywhere given it's 8-minute length. "Snowflake" was one of my favorite tracks being a combination of mechanical sounds and freaky shooting and swirling space electronics. Think Forbidden Planet. Then in the last couple minutes a brain-splitting fuzzed sound forced me to tear the headphones from my head, and the crashing guitar we heard on "Sore Song" returns. Keeping up with all the parts is a challenge but I think Mika succeeds in creating quite an interesting piece of work, though I think he could have left the guitar off this one. The Traffic Light CD consists of 6 tracks, all similarly titled... "A Traffic Light", At Traffic Light", In Traffic Light"... you get the idea. As the traffic light idea suggests, there is an urban theme running throughout the album. The sound of cars is continuous and it almost feels like a microphone was placed in the middle of a highway. "To Traffic Light" is a standout track with its harsh piercing sounds and the rumbling of the traffic becoming such a roar that it seems to be morphing into a rocket. "Traffic Light" is another tune that caught my attention. On this lengthy track the sounds of the city are less efx'd and more natural. The effect is similar to the imagined person by the water on "Afloat" from Musical For Cats", the listener following along with the simple every day goings on in the city. The music is almost secondary, consisting mostly of simple synth lines and variety of percussive sounds. As you can tell there's quite a bit of imagery that Mika has conjured up in my mind, and once again there were moments when the clatter reached such levels that I had to remove the headphones for a bit. But doesn't this characterize the modern city? Go to Los Angeles or New York some time. Electronic music fans will enjoy the way Mika has focused on one aspect of the big city and incorporated it into his world. A simple theme that says a lot. As with the combination of electronics and stringed instruments on Musical For Cats, Traffic Light successfully pairs electronics and avant-garde ambient music with samples of the genuine hustle and bustle of the city to produce interesting results. 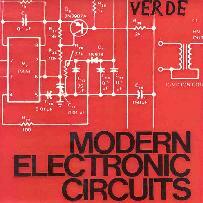 Modern Electronic Circuits includes some of the most melodic pieces I've heard yet from Mika, though the avant-experimental bits are just as prominent as on the earlier CD's. The disc opens with "Asib Jump", which is surprisingly different. The acoustic guitar - which crops up often on this CD - and keyboard combo sounds a bit like Pink Floyd, creating a spacey folky progressive rock sound. A bit of Vangelis styled symphonic keyboards are present, but there's still the intermitant natural sounds that are a trademark of Mika's music. "Liemiruuat On Kaikkein Parhaimpia" paints a simple ocean scene. The rush of waves, seagulls chirping, all to a plodding tribal percussion beat and an accordion melody. Nothing deep... just a place... everywhere is somewhere. "Politician" is similar in terms of 'place', consisting of steady tribal percussion and a herd of sheep or goats chorus bah'ing throughout. "My Split Cop Box Amplifier" has simplilstic acid rock guitar licks that are accompanied by a quirky rapid electronic pattern. An interesting combination but another example of the guitar just getting in the way and not really going anywhere. Things start to get more interesting with "Rush Matting", a mix of ambient space and high volume pulsating electronics. "Ruma Dance" spotlights a harsh mininmalist electro pattern backed by orchestral keyboards. Of course the electronic pattern is the focal point and we hear all manner of bubbling space synths and crowd noises in the background. The pattern is uncomfortably hypnotizing and the contrast between this and the floating symphonics is acute. These oddball combinations are so much of what makes Mika's work fun and appealing to me. Rather than being meditative, the music commands the listener's attention by forcing the puzzle pieces to fit in wrong places that nonetheless work. On "Tanzania", a melodic acoustic guitar plays over electronic patterns and orchestral washes similar to that heard on "Ruma Dance". The percussion has an even more traditional tribal sound and we hear samples of chanting children, hence the title I'm sure and the copyright in the CD liner notes that credits Children Of Tanzania. "All Canoe" is similar to "Tanzania". And, finally, "Old Water Pump" has more acoustic guitar but here it has an almost Renaissance melodic feel, though the expected freaky synth patterns and noodlings are ever-present. Lots of interesting ideas on this album. Acib opens with "Onshore", and the often heard sounds of the city like cars and crowd noises are present, backed by carnival-like music. Soon the natural sounds fade and the music takes over, becoming Dr. Caligari styled surreal until ending at the seaside, the waves rolling up on the shore. "Barrel Organ" is similar, but the carnival music includes cool freaky electronics that have a slight techno feel. On "Shark", a classical guitar plays against synth lines and a ambient backdrop. The guitar starts to be a little dissonant and then a hip-hop beat kicks in. The result is a wild trio of guitar, hip-hop rhythms, and ambient space all coexisting in the same sphere. "2 x Mr." is a bit different as it's almost a 'song'. Kind of like a drugged folk song accompanied by R2D2 rambling electronics. "Flocks" is also different as it's probably the most traditional ambient space track I've heard yet on these CD's. I'd mentioned techno and hip-hop earlier and indeed "Robot" comes across as drone dance music. I can definitely picture the robot doing a two-step. Other highlights include "Coal Rake", which is a combination of pure emotionless electronic patterns. Like the inner workings of a factory or space station. Only one synth line really changes and provides a robotic 'melody'. And "Divide Of The Sea" is something of a trademark Verde piece featuring dark ambient atmospherics and the sounds of children playing at the beach. Asill is a little different, with the natural sounds being used a little more sparingly and several of the tracks have a 50's B sci fi movie feel. The percussion that was a noticable part of the Acib CD is employed here as well. 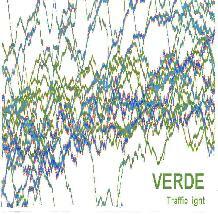 But the standard oddball combinations and found sounds are still ever-present, and while cold mechanical electronics are still the trademark there seems to be more atmospherics and emotion on this most recent of Verde releases. On "Poliisi Lopetti Kaupunkihirvet", an incessant pulsating electronic pattern develops very slowly, bringing to mind an electro factory ballet, or the march of the Daleks. Natural sounds like ocean waves and clanging trolley cars are heard, but the electronics get quite intense and the volume cranks to feverish levels while the trolley car continues to clang its bells. "Hirviperhe Pel�stytti Tamperrelaisia" is similar with pure brain searing electronica and a repetitive percussion beat that gets a little dancey at times. For "Poliisi On Yritt�nyt Ajaa Hirvi� Pois" the percussion becomes more overtly dancey. An interesting track as the cold electronics are seemingly trying to follow the groove that the percussion sets. "Hirvet Onnistuttiin Lopettamaan Golfkent�lle" and "Kaupunkiin Tulee Hirvi� Talousmetsist�" feature 50's sci fi flick space electronics and theramins combined with industrial machine-shop pulsations. I particularly liked the later's dark thudding industrial bass background. AI: I hear guitars quite a bit, but is Verde music mostly played on the equipment you built yourself? Do you use any "manufactured" synthesizers or is it all your own? MR: My special instrument is self-made, an analogue moduli synthesizer called Ruma by which you can handle sounds. It took me five years to build this instrument which consists of 60 separate segments. Each of them forms its own complex. They are connected to each other by 4 mm laboratory test cables. In the segments there are circuits invented and developed by myself. All interesting parameters of the analogue circuits can be adjusted by voltage control. Ruma doesn't include the keyboards but many sequencers which take care of playing. It's also possible to get signal of some outside instrument to control the segments of Ruma. Working with Ruma is difficult and challenging. You can never get the same sounds again. There is always something surprising. I have many factory-made instruments too for example Roland D550, JX-3P, JX-8P, MC-303 and Akai S200. My latest acquisition is an old Hammond generator organ, which I'll start to modify later. I don't play the guitar much because I'm not so talented but it's interesting to make experiments with guitar. In my electric guitar there is a theremin built inside. AI: Looking at some of these instruments you've built, I wonder if maybe your background is in electrical engineering or some other technical experience? MR: Yes my educational background is in electrical engineering. I first graduated as an electrician from trade school and then electronic engineer. Since 1995 I've been working as audio electronic engineer at Nokia Mobile Phones here in Tampere. But above all I have been interested in electricity and made my own experiments from childhood. At first I became inspired by high end equipment which I constructed and then little by little started to make my own recordings. About six years ago I began to build my own experimental studio. It's fine to make things myself from beginning to end and besides also learn a lot. In electronics it's important to put your knowledge into practice. Merely studying theory is not enough. AI: How does a sewing machine and vacuum cleaner becomes a musical instrument? Is the idea inspired by what you hear from the machines themselves... an element of fun... or is there an artistic element? MR: I have a lively imagination, an artistic temperament and I'm a bit mischief-loving by nature. When I see something interesting I instantly begin to think what else could be made from that. MR: You can hear vacuum cleaner on the Lehtisalofamily CD (track number 4: Kleant where Jussi's mother vacuums). Sewing machine I've played only live and then it has been in some art exhibitions where the public has been able to try it. AI: I'm looking at the photos of the sewing machine and vacuum cleaner synths and wondering how you might "play" them? MR: You can play the vacuum cleaner by vacuuming and the sewing machine by sewing. There are two light sensors at the head of the tubing which change the parameters of the analogue synthesizer according to lightning level. The sound of this instrument reminds of the real vacuum cleaner a bit. In the sewing machine there are two oscillators which are controlled by the mechanic of the sewing machine. I have respected the original purpose of use by preserving the user interface and at the same time made new life for these old things. Maybe there is an element of humor too. AI: What music influenced you and what types of current music do you like to listen to? MR: I listen quite a lot to avant-garde music and experimental jazz. Miles Davis is my favorite as well as African music. Thanks to Jussi I have got to know more experimental music and then I listen to our own recordings. I record all our gigs and different sounds from the environment where I go here in Finland but also around the world. Especially I love the sounds of nature and sea. There are hundreds of hours of sounds on my digital tapes. AI: Do you perform live as Verde? MR: Yes I have performed live as Verde both alone and with some other musicians. It is easier when there are other musicians too. The gigs of electronic music are troublesome because you need so many instruments and devices. 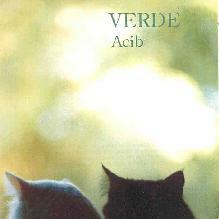 AI: Ektroverde combines Ektro (Jussi's label) and Verde. Can one conclude that the band Ektroverde was formed as a vehicle for the combined ideas of Mika Rintala and Jussi Lehtisalo? MR: Ektroverde was formed in 1996 but Jussi found me in 1997. He had heard my first recording and became interested in them. So we began to co-operate and our first project was Lehtisalofamily "Interplay". 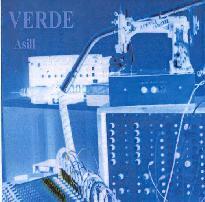 At the same time I made my own recordings and Jussi proposed that I could use Verde as my label. AI: Are you part of Circle also? I think I've seen your name on the more recent Circle releases. MR: When Circle has a gig I'm often with them. I also play on some Circle releases. AI: Is Finland a fertile ground for many alternative/experimental bands? And do you/they get much support in Finland as far as live performance opportunities go? MR: There are not so many active experimental musicians in Finland and we are not known among the general public but we have co-operation and common projects to some extent. Maybe this long winter inspires to make experiments. Some festivals afford opportunities to live performance and besides this there is Space Junk which is a weekly radio show presenting electronic and experimental music. For more information you can email Mika Rintala at mika.f.rintala@nokia.com. CLICK HERE to view photos of Mika's homemade electronic instruments.